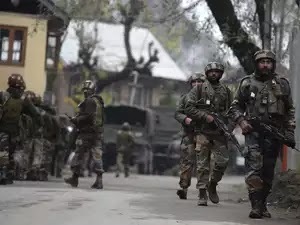 In a decision that "anguished" the Army, the government has rejected a long-standing demand of the armed forces for higher Military Service Pay (MSP) for over 1.12 lakh military personnel, including Junior Commissioned Officers, official sources said Tuesday. They told PTI that the Army headquarters was very upset over the decision of the Finance Ministry, and will seek its immediate review. Around 1.12 lakh military personnel including 87,646 JCOs and 25,434 personnel of equivalent rank from the Navy and the Indian Air Force will be impacted by the decision. The proposal for higher MSP for JCOs and equivalent rank of the Navy and IAF has been rejected by the Finance Ministry, sources said. The three services, particularly the Army, was pressing for increasing the monthly MSP of JCOs from Rs 5,500 to Rs 10,000. The total annual financial outgo would have been Rs 610 crore if the government had accepted the demand, the sources said. The MSP for the military personnel was introduced in 2008, recognising their unique service conditions and hardships. At present, the MSP has two categories -- one for officers and another for JCOs and jawans. The seventh Pay Commission had fixed Rs 5,200 as MSP per month for JCOs and jawans while putting it at Rs 15,500 for officers between Lieutenant-rank and Brigadier-rank. The Army has been pressing for granting an MSP of Rs 10,000 for the JCOs, arguing that they are gazetted officers (Group B) and play a very vital role in command and control structure of the force. The Army headquarters is "very anguished" over the rejection of higher MSP to JCOs. The defence ministry is also miffed over it, the sources said. "Since JCOs are Group B gazetted officers and also have considerable length of service, it is incorrect to grant them MSP on par with the jawans. It is very unfair," said a military officer who wished not to be named. In 2016, the three service chiefs had taken up salary related issues including the "anomalies" in MSP with the 7th Pay Commission as well as with the top echelon of the government. Subsequently, the Army had taken up the issue strongly with the Defence Minister and the three services as well as the Defence Ministry were on the same page on the issue, the sources said. The MSP was first introduced by the 6th Pay Commission, accounting for compensation for intangible aspects of military service. It accounts for a range of "hardships and disadvantages" which cannot be evaluated while assessing pay comparability. Sources said the 7th Pay Commissions miserably failed to make a differentiation between the JCOs and the jawans, adding the JCOs must be given due importance in recognition of their key role and to keep their morale high. The concept of MSP for armed forces personnel is widely prevalent in European countries. The armed forces were pressing for a separate slab of MSP for JCOs and equivalent rank.